Werther is Massenet’s masterpiece. It’s an ode to self pity. It and Manon are the only operas, out of more than 30 by Massenet, that are firmly in the standard repertory. The opera, based on Goethe’s novel The Sorrows of Young Werther, depicts its protagonist’s unsuccessful and ultimately suicidal love for his friend’s fiance and then wife. If Werther had manned up and gotten over his misdirected passion there would be no opera. The work’s most famous number ‘Ah! Pourquoi me réveiller?’ is in the third act. Charlotte (the object of Werther’s desire) draws his attention (in an attempt to divert him from thoughts of self destruction) to a book of Ossian that he had once started to translate; its words fit his mood of growing despair. Ossian’s poem is the aria. They are appended below with an English translation. The aria requires both passion and nuance to be successfully realized. The best exponent of this role now active is the German tenor Jonas Kaufmann. He has a dark, almost raspy, voice that he uses with great skill and sensitivity. His sound indicates that he should move toward spinto roles which he recently said he would do. He even mentioned the possibility of eventually taking on Verdi’s Otello. This performance is from a complete staging of Werther in Paris. Kaufmann brings pathos, urgency, and desperation to Werther’s frenzied outburst. Ah! Pourquoi me réveiller Kaufmann 2010. Giuseppe Di Stefano recorded this aria when he undergoing a comfortable internment in Switzerland in 1944; he had fled the Italian army. Only 23 years old, he would not make his stage debut for two more years. Despite youth and inexperience, his interpretation is fully realized. His unique combination of vocal beauty and emotional sensitivity make this a memorable reading. Ah! Pourquoi me réveiller Di Stefano 1944. From youth to old age. Here’s Beniamino Gigli singing the aria (In Italian) at a 1954 recital. He was then 64 years old. The honey tinged voice that made him world famous is still there. Ah! Non mi ridestar Gigli 1954. Mario Del Monaco was a force of nature. Seemingly placed on earth solely to sing Otello, he was accused of not being able to sing below fff. That’s an exaggeration, but he was loud. He doesn’t so much sing today’s aria, rather he swallows it whole. But it’s a unique phenomenon. If anyone had a voice like his, he’d likely do the same. This one’s also in Italian. Ah! Non mi ridestar Del Monaco 1951. 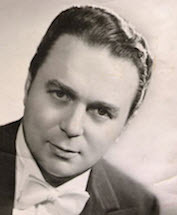 Feruccio Tagliavini’s approach to singing was 180º from that of Del Monaco. He sounded great in small houses and on records. When he got to the Met his voice was a little small for the big New York theater. His version, recorded in performance, is all nuance and vocal control. Ah! Non mi ridestar Tagliavini 1951. Tito Schipa sings the aria in much the same manner as Tagliavini. His voice is modest, but the vocal line is beautiful and all the number’s emotion is revealed.Ah! Non mi ridestar Schipa 1934. This is the last interpretation in Italian. Swedish tenor Nicolai Gedda was fluent in virtually every operatic language from Russian to English. When he sang in the world premiere of Samuel Barber’s Vanessa at the Met in 1958 his English was easier to understand than any of the native English speakers in the cast. He had a lovely solid voice that allowed him to sing a wide variety of roles. This recording was made during a recital with piano accompaniment. Gedda’s filatura at the first high note is particularly good. Ah! Pourquoi me réveiller Gedda 1961. Toward the end of his career Franco Corelli moved into French opera when he would have been better served singing Otello. He latter admitted this himself. It’s not that he was bad at French opera, rather there were others who could sing Werther, but for whom Otello was an impossibility. This recording is from a Met broadcast. Pourquoi me revellier Corelli 1971. Jose Carreras had a beautiful lyric voice that was the closest thing to Di Stefano yet heard. He consciously modeled his singing after the great Pippo. Alas his voice did last much longer than that of his idol. Part of his vocal decline was due to technical difficulties and part due to a near fatal illness. Ah! Pourquoi me réveiller Carreras 1986. There was nothing in the tenor Book of Songs that Placido Domingo couldn’t sing. The only part left for him is the Manhattan Phone Directory. He could also conduct and later sing a baritone version. This recording, taken from a Munich performance of the opera, shows the great Domingo in full operatic flight. There’s never been anybody like him. The voice has size and golden tones. If you heard Domingo in the house during his vocal prime you heard one of singing’s great phenomena. Ah! Pourquoi me réveiller Domingo 1977.
qui, bien plutôt, était mon interprète! Pourquoi me réveiller, ô souffle du printemps? des orages et des tristesses! Se souvenant de ma gloire première. Ils ne trouveront plus que deuil et que misère! ! All my soul is there! Why awaken me, oh breath of spring? of storms and of sorrows! They will find only mourning and suffering! Just this morning, by chance, It happened that I found your article. I want to be honest with you: I am a great fan of Franco Corelli (gigli and schipa as well and many others of the golden age of opera), and I despise the shouting of Del Monaco, the “nice voice of Carreras and Di Stefano to not mention Domingo (the mononote singer and Pavarotti -except the young one that had a great voice…if only he spent more time with La fille du regiment he could have been better than Kraus- (if you really like Di stefano I suggest you to listen to the Andrea Chenier of Firenze 1956…my cat is still under the couch; for Carreras I think any opera is a good example of how we are not supposed to sing – overall 1989, Andrea Chenier, Milano…simply terrible-). What really I want to ask you, and what really pushed me to write to you, is if you really believe in the skills of Kaufmann? He is A DOG! Seriously, he simply does not have tecnique, in any sense exactly like Di stifano (Who had a beautiful voice for 3 years and then destroyed himself because of his poor studies). 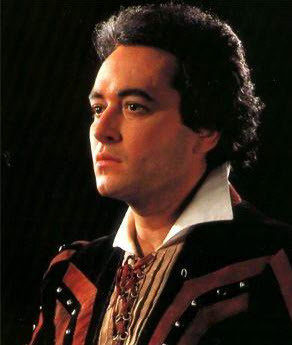 I write you because I am sick of these supposed singers, and sometimes I wonder what the good old Celletti would write of this ignominous situation the “tenor roles” are facing right now…. p.s. Corelli sang Poliuto, (the last one in this century excluding Domingo’s one….and I won’t add anything else), Il pirata….he surely had the voice for Massenett…. “…A DOG! ” He’s a singer like John Wayne’s an actor. I always wish it were someone else. And I have never heard the expression Mononote. I assume lacking varieties of colour?? Of, course I have the Corelli Poliuto…super intense as always.